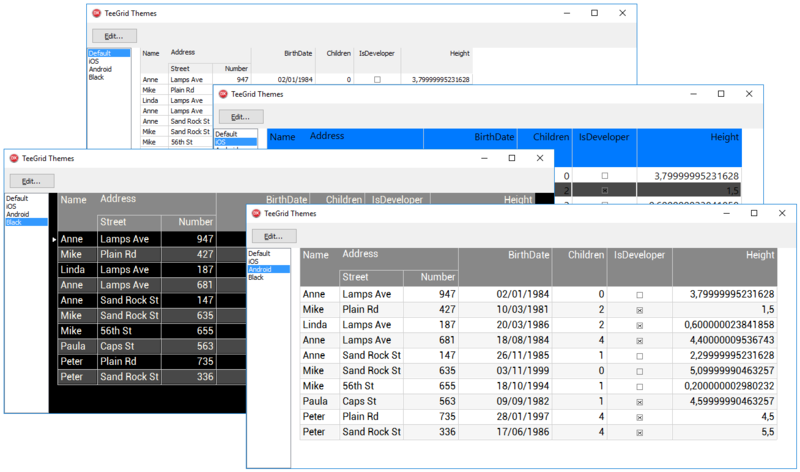 TeeGrid is a lightweight full-featured Grid / Tabular control (not derived from TCustomGrid or TGrid), to take advantage of all that's fast in Delphi! Written from scratch in 2016 (not derived from TCustomGrid or TGrid) to take advantage of all that's fast in Delphi! 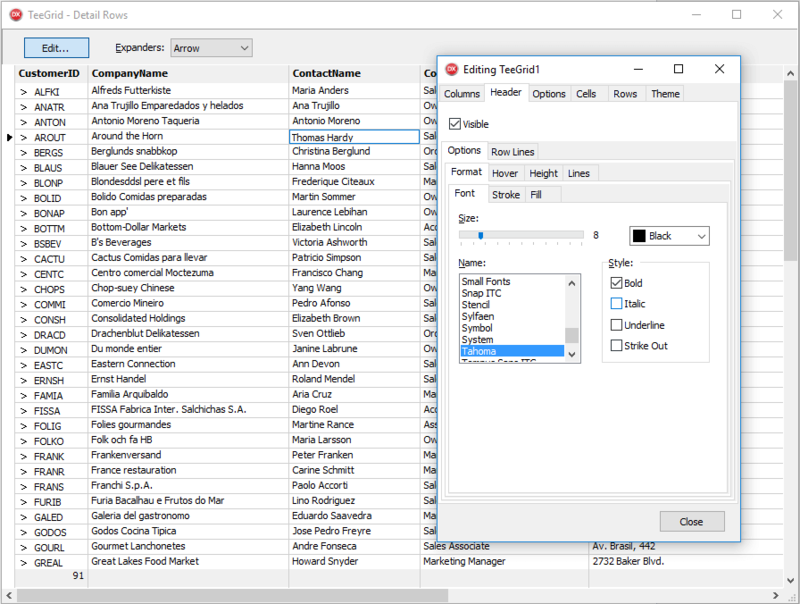 - TRenderData record renamed fields: "Rect" to "Bounds", and "Text" to "Data"